Swipe right/left it to go to the required item and tap to select it. Settings: Select it to go to the Settings panel. 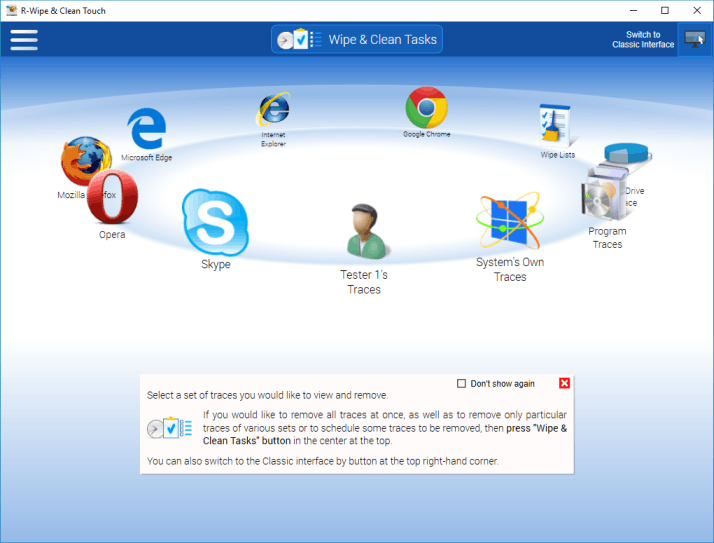 Select it to go to the Large Wipe and Clean Tasks panel. Remove a single file directly from Files and Folders: Wiping a File . Wipe free space on one disk: Wiping Free Disk Space .